Shocking: Paul Pogba’s relationship with Ole Gunnar Solskjaer ‘slowly fading’! Real Madrid have been linked with a summer swoop for Paul Pogba, and the midfielder has made no secret of his admiration for Zinedine Zidane. Tough time seem to be arriving for Manchester United. The arrival of Ole Gunnar Solskjaer was meant to bring old glory days back at Old Trafford. However Solskjaer’s tenure as permanent boss started with a defeat. The Red Devils look unlikely to finish in top 4 and are struggling to extend the contracts of David De Gea, Ander Herrera and Marcus Rashford. With Herrera set to leave Old Trafford, it seems Ole Gunnar Solskjaer’s relationship with Paul Pogba has been soured. 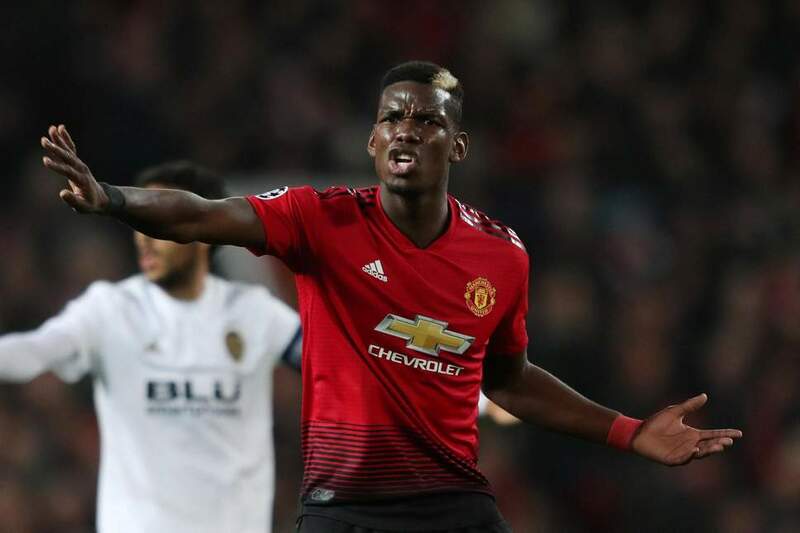 Paul Pogba’s underwhelming recent performances for Manchester United has reportedly played a part in the breakdown of his relationship with Ole Gunnar Solskjaer.Real Madrid have been linked with a summer swoop for the World Cup winner, and Pogba has made no secret of his admiration for Zinedine Zidane. 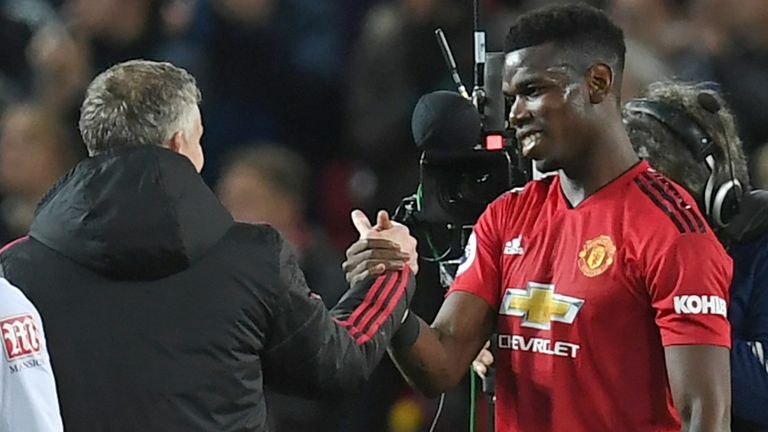 That speculation comes at a time when Pogba has struggled for consistent performances, having initially impressed under United boss Solskjaer. According to Le Parisien , the relationship between Pogba and Solskjaer’s is ‘slowly fading’, which could give Madrid an advantage in their pursuit of the playmaker. The former Juventus star notched nine times in Solskjaer’s first 12 matches – but hasn’t found the net since United’s 2-0 win at Chelsea in the FA Cup in February. And the last of his 11 assists this season came in the win at Crystal Palace later that month, highlighting his recent struggles. Madrid boss Zidane recently expressed his admiration for Pogba following the player’s comments about the Spanish giants during the international break. While on France duty last month, Pogba told a press conference Real were a “dream” club – comments that led to speculation surrounding the star’s future in the Premier League. Pogba, meanwhile, believes United can hurt Barcelona as Solskjaer’s side again look to overcome an Old Trafford loss in the Champions League. Having last month recovered from a two-goal home defeat in stunning fashion at Paris Saint-Germain, the Red Devils head to Spain next Tuesday looking to overturn a 1-0 deficit in the quarter-finals. Luke Shaw’s own goal from a Luis Suarez header was the difference at Old Trafford, where United failed to muster a shot on target but largely shackled Barca’s glut of attacking options. Solskjaer’s men face an uphill battle at the Nou Camp, but Pogba takes encouragement from Barcelona’s limited display at Old Trafford. The stunning allegations will come as a major shock to Manchester United fans who have seen Pogba’s best run of form and performances at the club since the Norwegian took over in December. It will be interesting to see whether Solskjaer will sanction the sale of Pogba in summer. The England captain is expected to be seen on the sidelines for the rest of the season.